The massive restoration and adaptive re-use of the city's one time municipal office building and traffic court has revitalized the north river edge with restaurants and retail and under 400,000 SF of offices. Originally built in 1913 as the Monarch Foods Building, it is generally known as the Reid Murdoch Center. 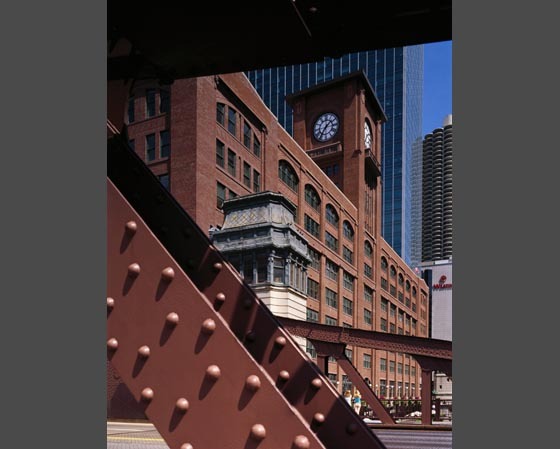 The landmark structure was used for over 50 years as a food storage warehouse, but now acts as a dynamic gateway to the city's revitalized River North Historic Neighborhood.